« My nails and new shoes from Betsey Johnson! But today, since the spring is finally here, I wanted to do a quick post about a couple of items. My aunt gave me this lovely necklace a couple of weeks ago and I love it soooooooo much!!!!! It’s fab! 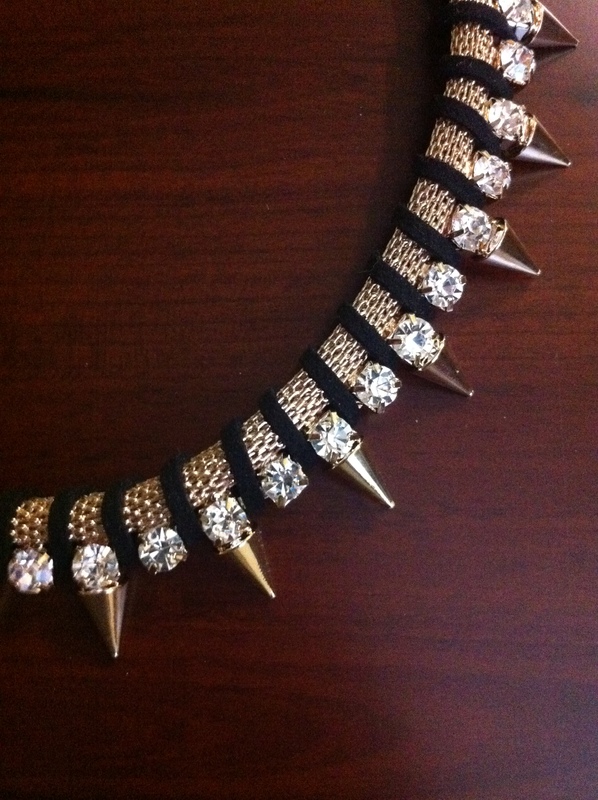 I love the combo of gold, crystals, spikes and black detailing. 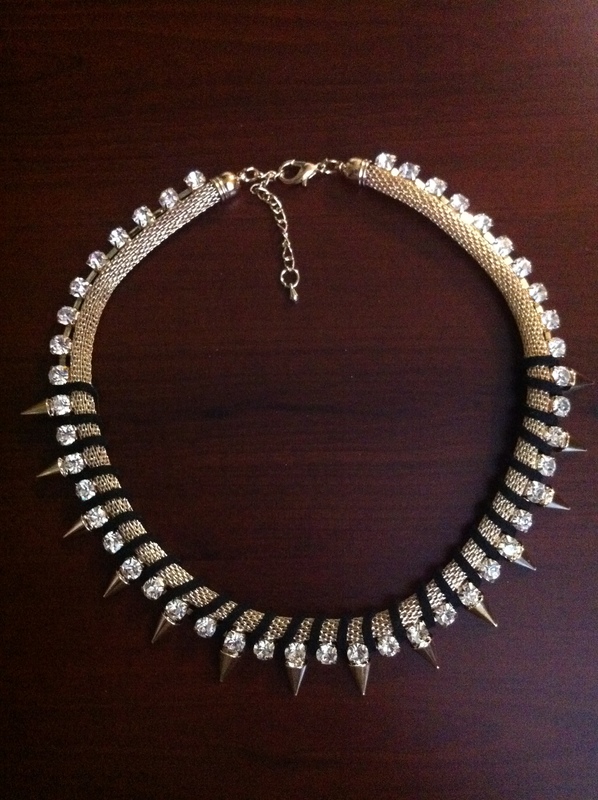 Although it looks like a statement necklace, it’s really versatile. I am sure I am going to wear it a lot during the spring time. It looks gorgeous with jumpers, shirts (luv it with my denim shirt so much), loose t-shirts and dresses. 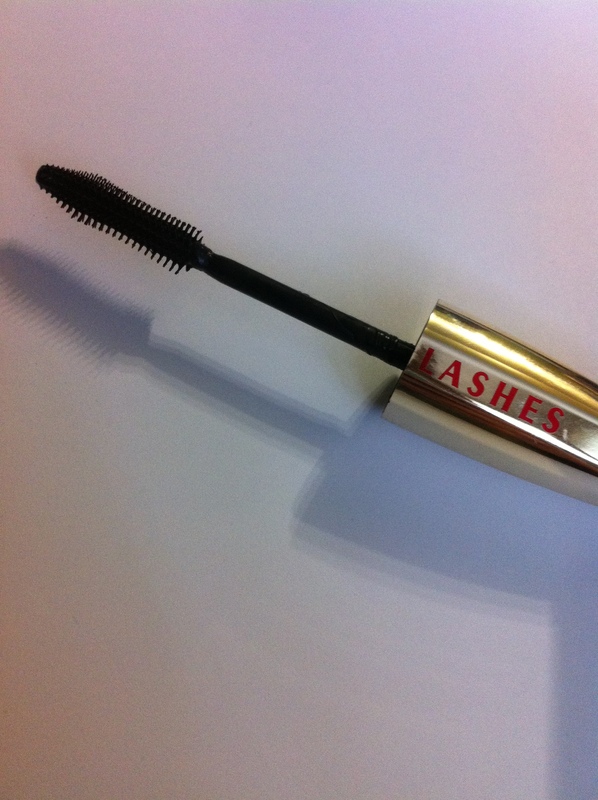 I really like the mascara – the quality, the brush, just everything about it is amazing. 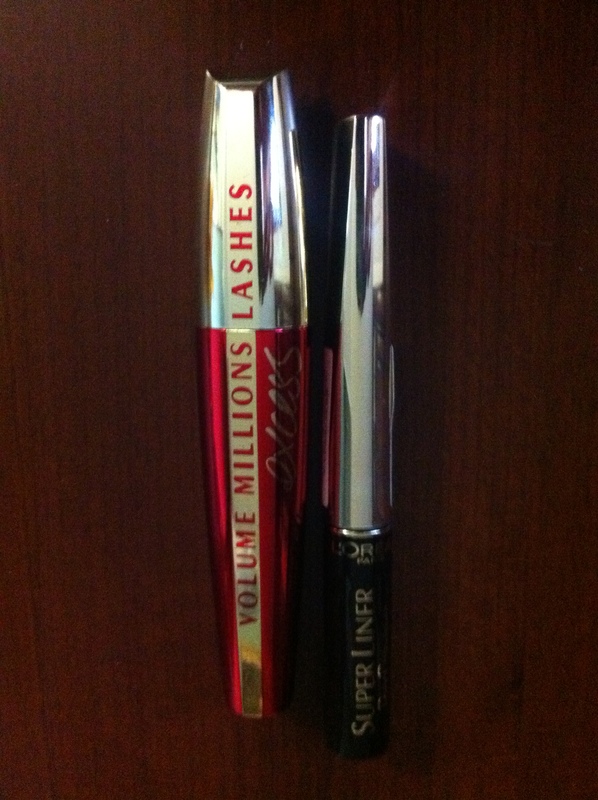 However I don’t see how it’s better than all the other L’oreal mascaras. They are all perfect to me. BTW I seem to be the only person, who hates Maybelline mascaras, especially falsies! I know, so many people love it. I guess it just didn’t work for me. So I am definitely more a L’oreal mascara person. The eye liner is fine. I mean I am not a huge fan of it’s tip/brush, whatever you like to call it. I think it should be thinner. Anyway, I always use a separate brush to apply my eyeliner, so it’s fine with me. Have you guys tried any of these products? What do you think? 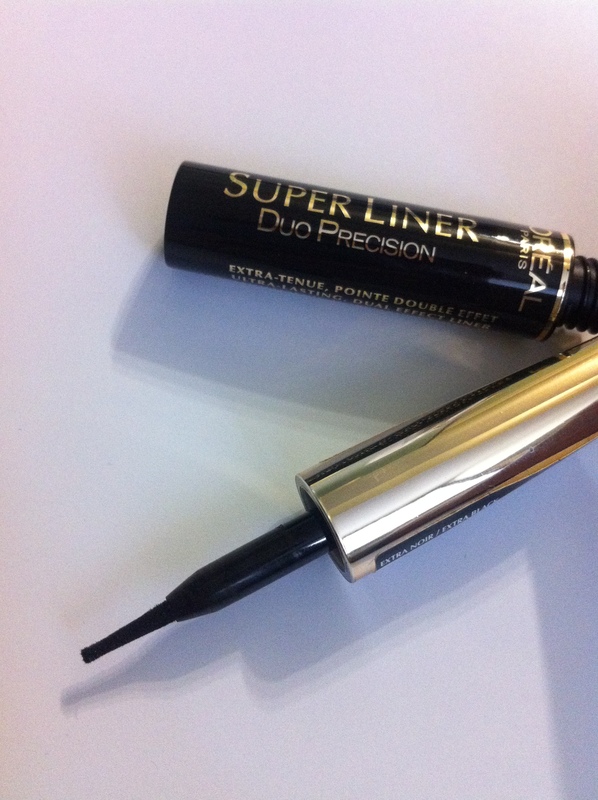 What’s your favourite mascara, eyeliner?